The Bible talks about faith. How essential is it for Christians? Were people like Noah, Abraham, Joseph, Moses, Rahab, Joshua, David, and Elijah courageous? Were these people so different from real Christians? What does the Bible teach about the cowardly? Where does faith come from? Will Jesus find much faith when He returns. 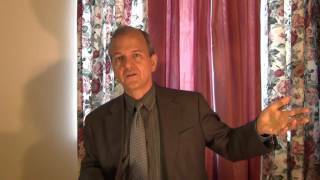 Dr. Thiel goes over scriptures and lessons from the Bible to give information on these matters. Here is a link to a pdf. 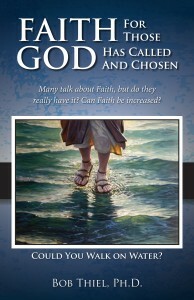 booklet titled Faith for Those God has Called and Chosen. Here is a link to the sermon: Faith and Courage. Faith for those God has Called and Chosen What is faith? Can faith be increased? Are you saved by faith? What about works? Do Christians need to keep the Ten Commandments? What is the ‘faith chapter’? How do the just live by faith? Is faith one of the weightier matters of the law? How does faith come? Here is a link to a pdf. booklet titled Faith for Those God has Called and Chosen. Marque aquí para ver el pdf folleto: Fe para aquellos que Dios ha llamado y escogido. In German: Glaube für die von Gott Berufenen und Auserwählten. In French: La Foi pour ceux que Dieu a Appelés et Choisis. Here is a link to a related sermon titled: Faith for the Called and Chosen. Here is a link to shorter version of the written article in Mandarin Chinese 一篇关于信仰的小文章. This entry was posted on Saturday, October 24th, 2015 at 12:01 am	and is filed under COG News, Doctrine.